Tamales mmm packets of corn dough filled with fall apart Pork just sooo tasty. 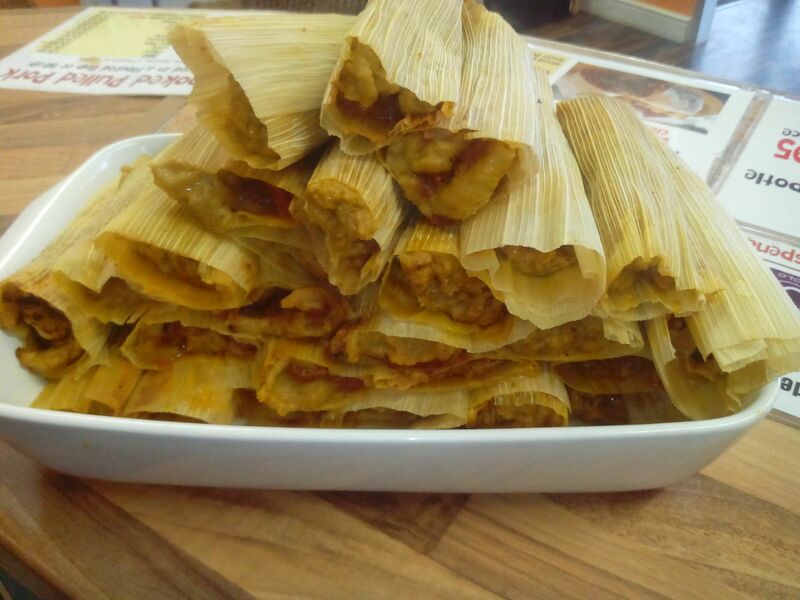 Tamales are not really difficult to make but they do take a while, so be prepared to spend some time in the kitchen. 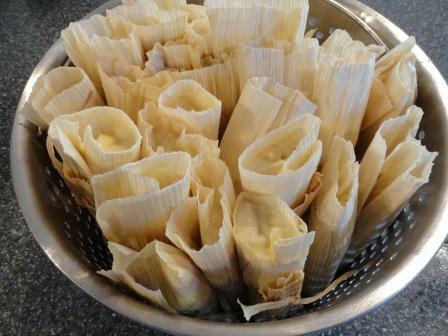 The recipe I will be sharing with you is for Mexican Style Tamales popular in Mexico and southern states of the USA. Method:- The best way to cook your Pork is in a slow cooker, so rub it up with the all purpose seasoning pop into the slow cooker with the onion, add water to about 2/3rds up the Pork. Turn the slow cooker onto low and cook overnight. 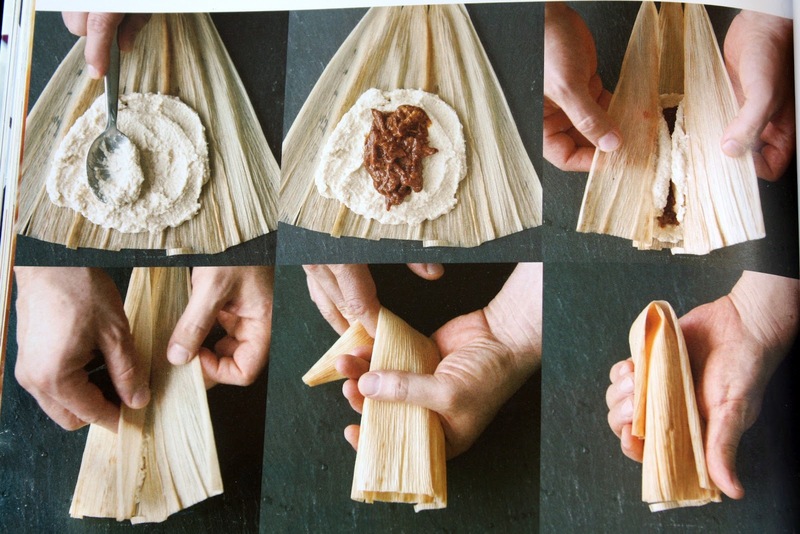 Go to bed and dream of eating some Tamales. The next day take out the Pork and strain the stock IMPORTANT don’t throw the stock or the strainings away. In a large mixing bowl add the Masa Flour and all the other dry ingredients, when the stock has cooled a bit stir in to the bowl and and mix well, if you need to add some cold water to get the mixture right then do it needs to be about the consistency of Peanut Butter. Set aside for about 30 minutes, meanwhile warm the lard till it is soft and with a food mixer whip it up till it is light and fluffy then slowly incorporate the Masa till you have a nice bowl of dough again it needs to be like Peanut Butter. Shred the Pork and stir in the Cumin, Chilli and strainings to make a tasty mixture stir in the Tomatoes and set aside. Clear some space. Drain the Corn Husks and put one on a board add about a table spoon of the masa mixture smooth out and add your Pork roll up and set aside. Once you have about 20 rolled its time to steam them. I use a Pasta Pot which holds bout 20 finished Tamales just right to get steaming while you assemble some more. Steam for around 90 mins. The way to test is take one out leave to cool a bit then unwrap if the masa sticks to the husk they need a bit longer.